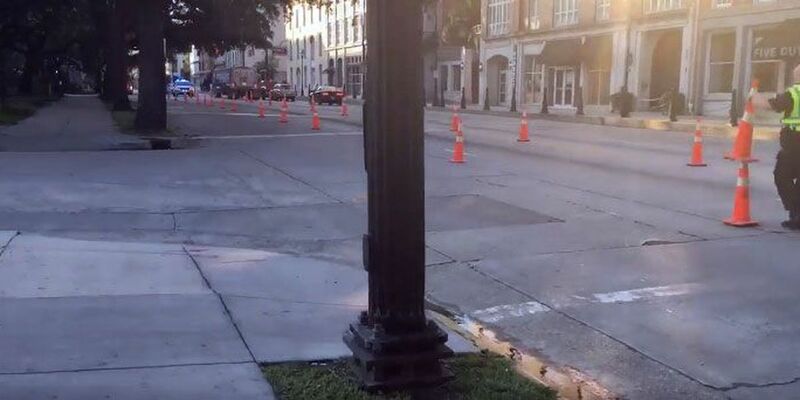 SAVANNAH, GA (WTOC) - Bay Street was reduced to one lane in each direction between Jefferson and Whitaker streets Friday morning as the Georgia State Patrol reconstructed this week's deadly crash. The closures were scheduled to take place from 5:30 a.m. until around 7 a.m. on Friday. Georgia State Patrol's Specialized Collision Reconstruction Team closed the lanes in order to conduct an investigation into the deadly early-morning crash that claimed the lives of three people and injured several others on Wednesday, July 5. "The mapping is kind of difficult due to the amount of commercial traffic and also just traffic in general. But there's a lot of detail with the curbing of the lamppost because it's a very unique area. We do a lot of rural areas and interstates and it's pretty open there. But like I said, this is a pretty detail area that we have to map," said Cpl. Gentry Mattox, GSP. All lanes were reopened to traffic at 7:45 a.m.